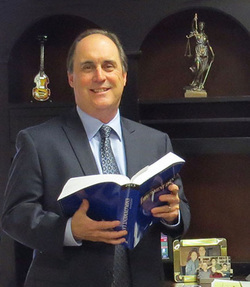 Mark A. Homen has been practicing law continuously in Hayward, California since 1983. He was born and raised in the East Bay. He graduated from Moreau High School, and received his Bachelor's degree in Political Science and Mass Communications from California State University, Hayward with high honors. After graduating from CSUH in 1979, he attended and graduated in the top third of his class from Santa Clara University Law School in 1982. Mark has three children, Luke, Amy and Kyle and two stepchildren, Zachary and Sara. He has eight grandchildren. Ezekiel, Malachi, MaryJoy, Benjamin, Azariah, Owen, Samuel and Gabriella. When he is not practicing law, Mark and his wife Franie reside in Dublin and like to attend local sporting events, including the San Jose Sharks. He plays softball and enjoys fishing, travelling and music. Luke A. Homen has relocated to Oklahoma City, Oklahoma, where he resides with his wife Anna and two children Samuel and Gabriella. 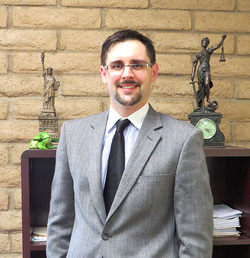 Although he has retained his California license, he now exclusively practices in Oklahoma providing bankruptcy, real estate, wills and probate services for his clients. For more information go to lukehomenlaw.com.